Wellington Dias, most commonly known in the Jiu Jitsu community as “Megaton”, is a Judo and BJJ black belt famous for a competitive drive which has kept him at the top of his game for two decades. 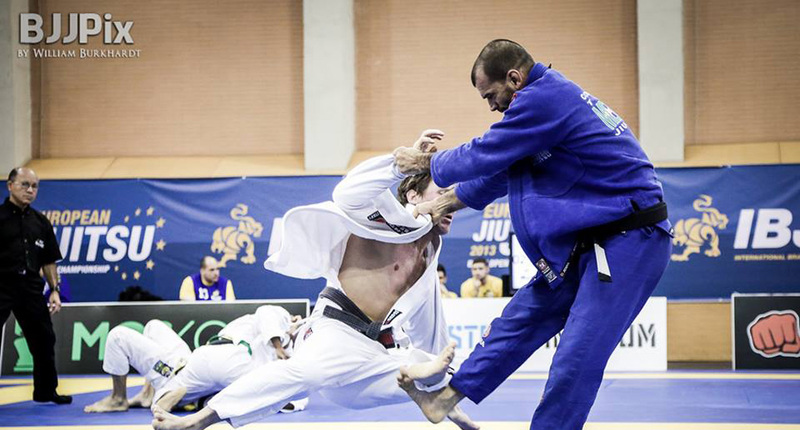 This Gracie Humaitá team representative is the only Jiu Jitsu fighter to have competed in all first 16 editions of the World BJJ Championships as a black belt (from 1996 until 2018), having reached the podium on 4 occasions. Megaton is also the father of Brazilian jiu jitsu star Mackenzie Dern. Nickname: “Megaton” was a name given to Mr Dias because of his take-down slam prowess. The slams were often so loud they resembled a megaton bomb. Wellington Dias was born on the 2nd of October 1967 in Rio de Janeiro, Brazil. “Megaton” first started training Judo when he was still a child under Judo black belt Rogerio Camoes. 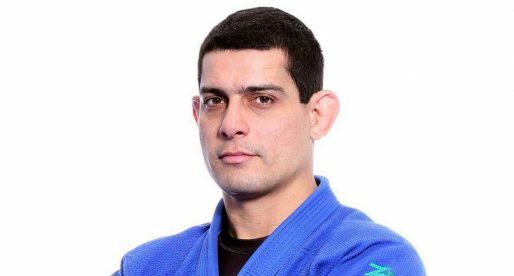 Camoes was also a Jiu Jitsu enthusiast who crossed trained in BJJ and made his students very aware of the submission game. “Megaton” also knew Royler Gracie since he was a child, the pair grew up in the same neighbourhood and shared an interest in surfing. Royler cross trained in Judo at the Rogerio Camoes’ academy and invited “Megaton” to come over to his academy and train some Jiu Jitsu. With his masters approval and encouragement Wellington Dias began training in Gracie Humaitá alongside some of the World’s BJJ elite. 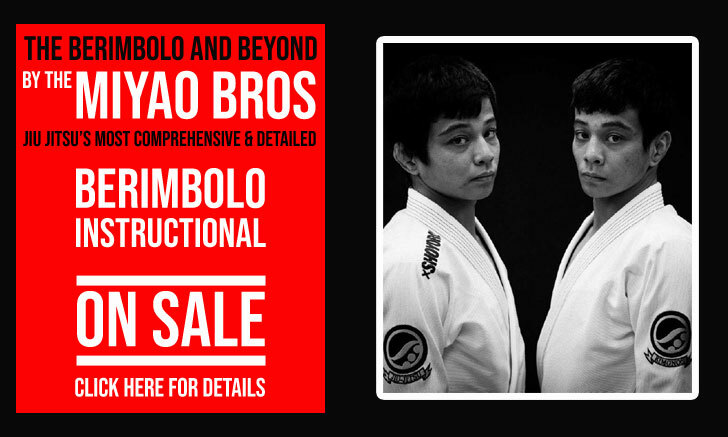 He ended receiving his black belt from the hands of Royler when he was 18 years old, in 1985. “Megaton” arrived in the USA many years ago to compete at a tournament in Colorado, although his plan was to move to Los Angeles to open an academy there, he liked Colorado and ended staying there for two years. There he met Luciana, the woman that would become his wife. 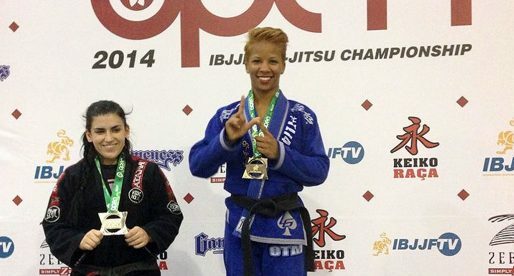 Luciana also trained Jiu Jitsu (she is today a black belt under Wellington) and two moved to Phoenix Arizona after that 2 year period to opened a BJJ academy there. California was already starting to be overwhelmed with BJJ academies and Wellington believed Phoenix was a better area to open a school. Phoenix started growing in BJJ to the point that a federation needed to be implemented, “Megaton” with the help of some other black belts coaching in the area then formed the AZBJJF (Arizona Brazilian Jiu Jitsu Federation), a Federation presided by Wellington Dias himself. Today Wellington Dias is a successful instructor having awarded several black belts, including UFC standout Evan Dunham, but from the many fantastic students under his instruction the one that probably makes him the proudest would be his daughter, Mackenzie. She is a tough competitor, just like her father, with an extensive list of medals and a rising star in the women’s division. 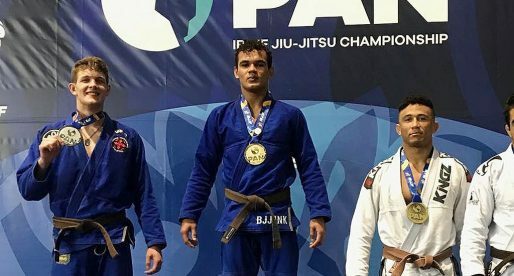 While juggling with teaching BJJ, parenthood and the life of a family man, “Megaton” still finds time to endure some of the toughest BJJ tournaments in the world, competing always in the adult’s division even though he could compete at the seniors. And not only does he compete, but he also challenges his younger rivals to the podium spots as the Bronze Medal at the European 2010 open would attest. Photo by William Burkhardt of BJJ Pix. Have you got any substantiated evidence of this? Many people get promoted by non 3rd degree black belts. But they will have their diploma signed by one. The awarding of the belt is ceremonial. I'm sure there was no lack of 3rd degree bb's at Humaita ready to sign off that certification.